The morning is reserved for networking and data collection. Like almost every day I visit BBRSSY Donut house to have a fresh cheese bread. When I need a drink and enter the Den Den Sports Club, just behind the Ambassador Hotel five lovely ladies from the DenDen Cycling club are having their lunch. One of them speaks very nice Dutch for an Eritrean youngster. She is showing off with short Dutch sentences, far better than my Tigrinya. Shyness disappears while we are chatting. I can make a photo, but I have to promise I will bring it to them next time when I visit Eritrea. I ask the girl where she teached herself Dutch. "Using the internet" she replies. I find it hard to ask why she is leaning Dutch. Guess I will meet her in Holland one day. It is hot, hot, hot. I kill the time visiting the souvenir section of the Souk. After 20 years I have loads of souvenirs. No need to buy more. I am getting a bit tired of the sun. Nice weather is one thing, but being fried in the sun every day is another. I try to hide in the shade of the souk. One of the ladies offers me her chair: "Sit down!" For herself she makes a new seat on the wall of the souk compound. I watch the people passing by, checking the merchandise Than suddenly the weather changes and the sky darkens. I resume my walk now it is cool. 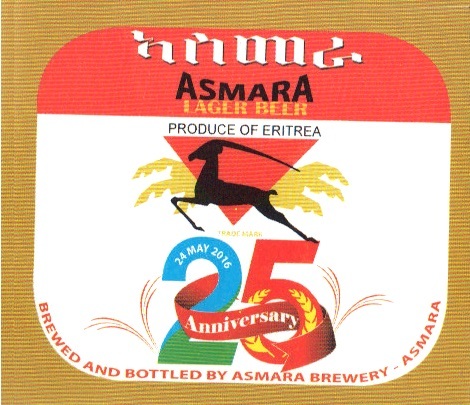 I take the #7 bus to the Asmara Beer Factory (asking for Melotti) in Setante Oto to collect some 25th anniversary beer labels from Mr. Bereket of the sales department. I should have made an appointment in advance, but now I did so from the gate of the brewery. We have a short chat, and it is no problem to take some of the May 24 beer labels. The collectors will be happy with them. Back on the street the sky opens. 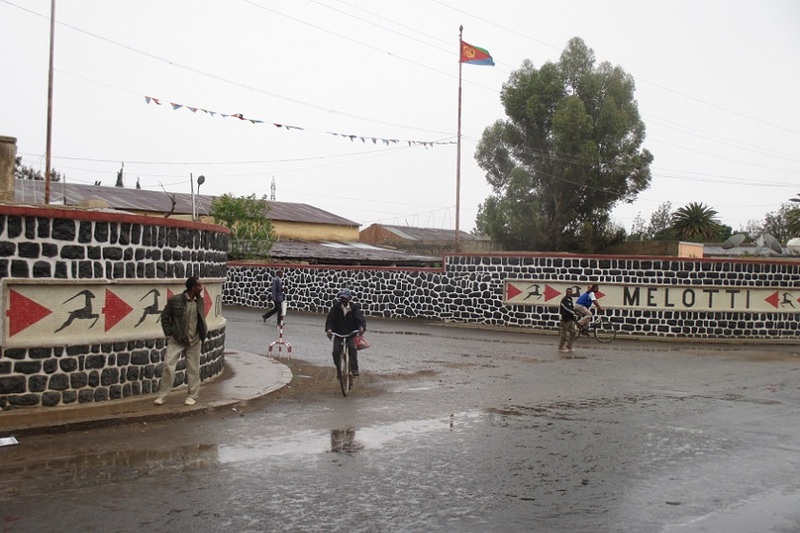 The heavy rains are a pleasant surprise for Eritrea, but for me, just wearing a t-shirt they are an afternoon shower. 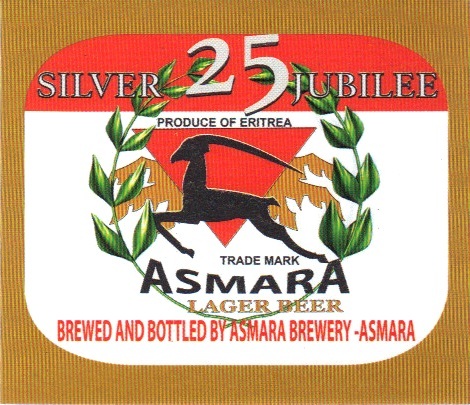 One of the Asmara Brewery staff recognizes my situation and invites me to take shelter in the Asmara Brewery canteen, and to drink tea with him. He tells me about his sisters living in Amsterdam. We chat for a while, but after the lunch break he has to return to his work. I can stay to wait until the rain stops. The street in front of the brewery turns into a small river. 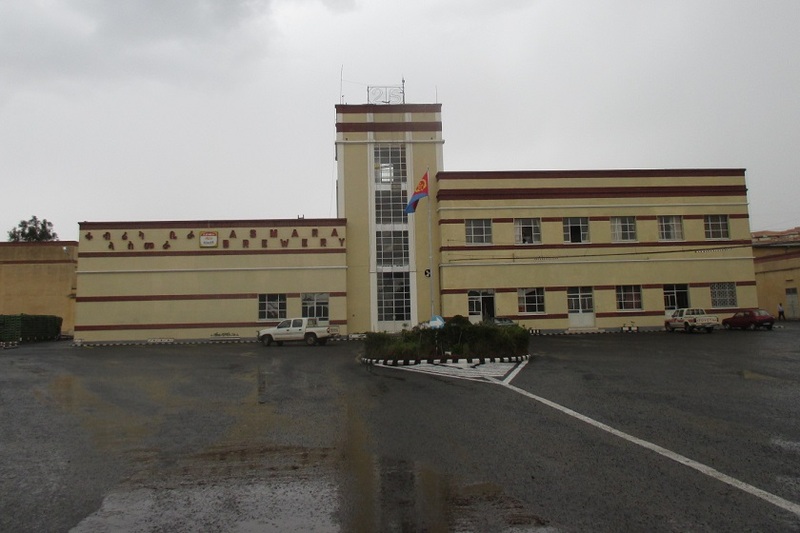 The Asmara sewage is not constructed to digest so much rain in one hour. 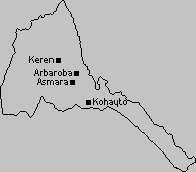 I find a taxi to return to the center of Asmara. The rest of the day the sky is grey with some rain every once and a while. 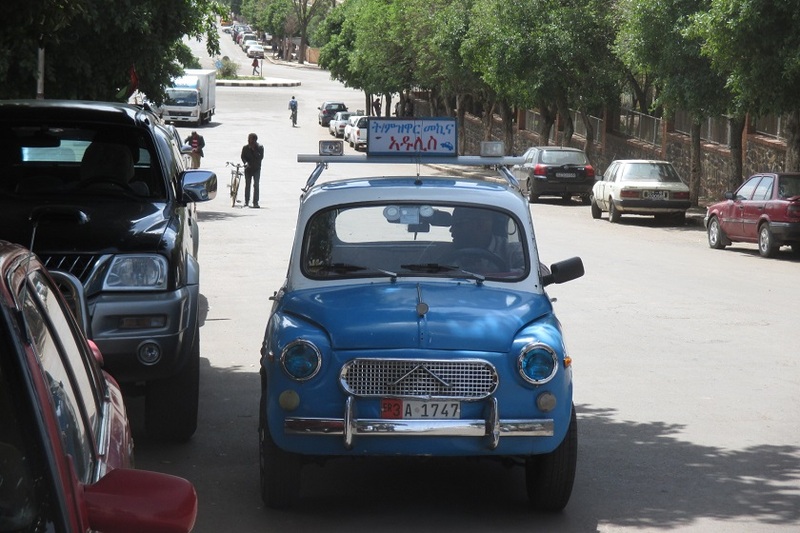 Driving School Fiat old timer - Beirut Street Street Asmara Eritrea. 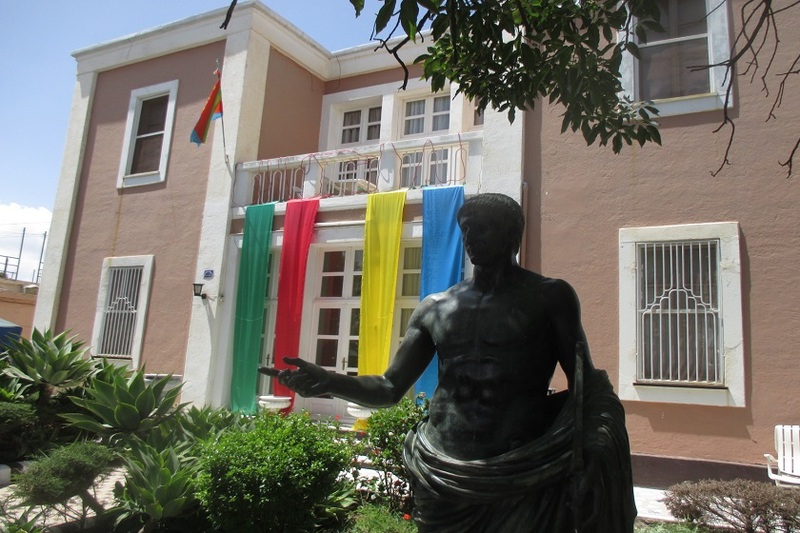 Decorated Africa Pension - Keskese Street Street Asmara Eritrea. 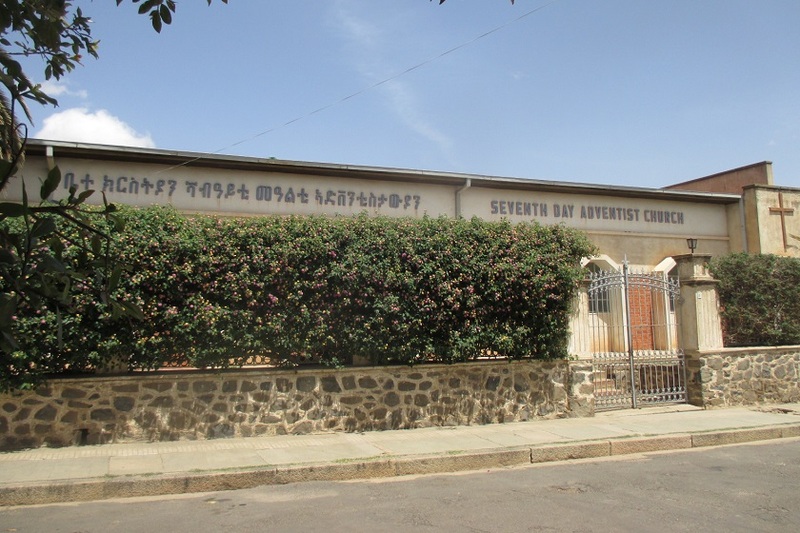 Seventh Day Adventist Church - BDHO Avenue Asmara Eritrea. 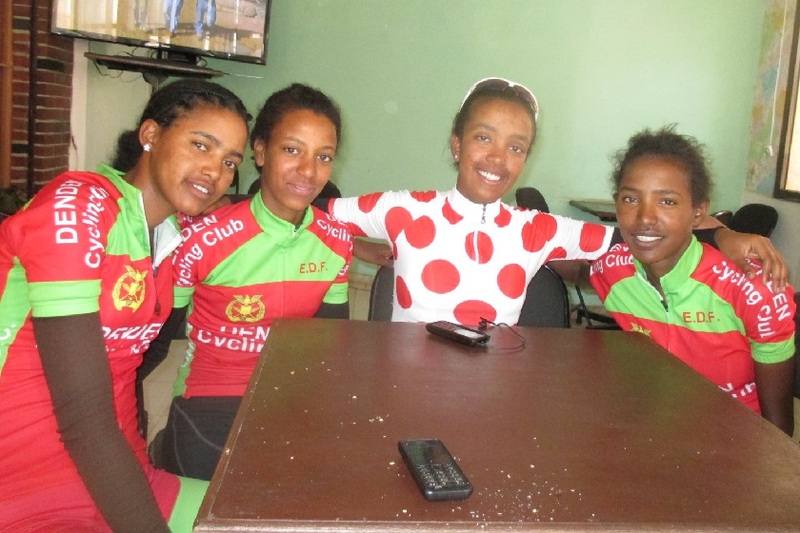 Girls of the Denden Cycling Club - Denden Club Asmara Eritrea. 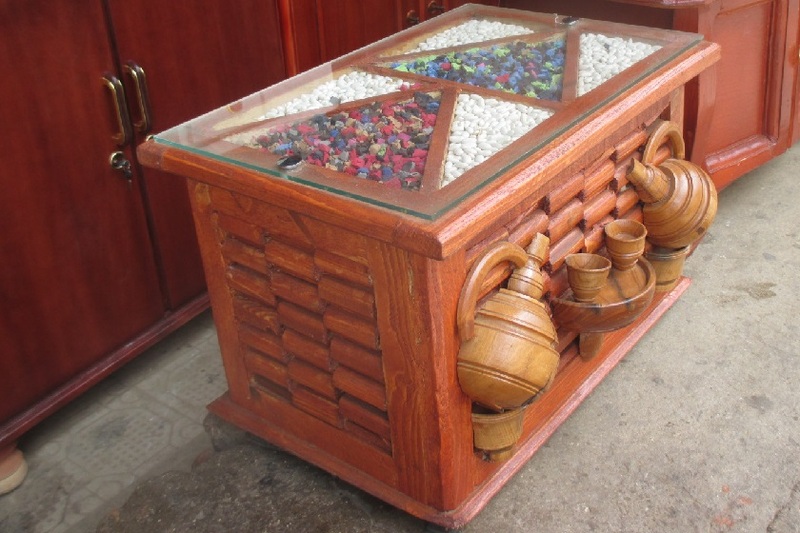 Coffee cupboard - Souk Asmara Eritrea. 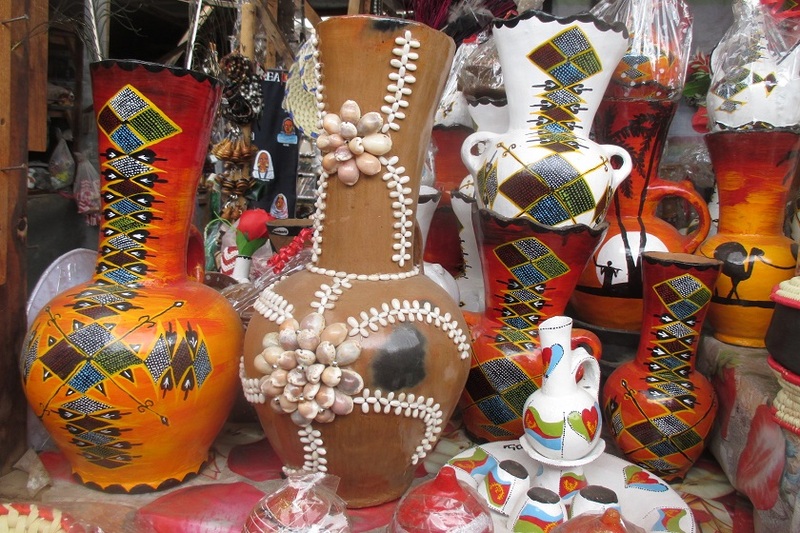 Souvenir market - Souk Asmara Eritrea. 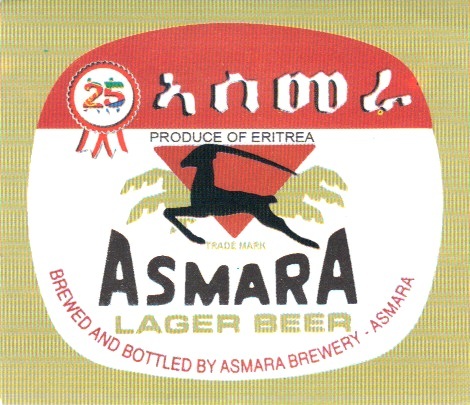 Asmara Brewery - Setante Otto Asmara Eritrea. 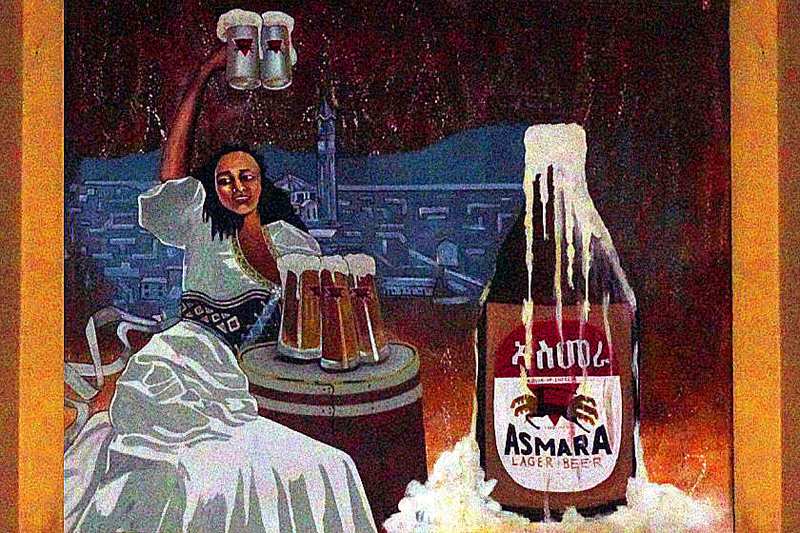 Asmara Brewery canteen - Setante Otto Asmara Eritrea. 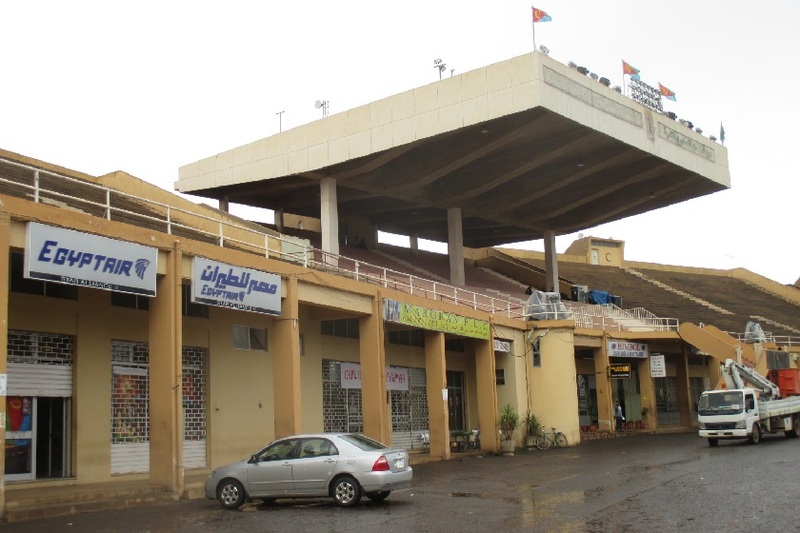 EgyptAir office - Bahti Meskerem Square Asmara Eritrea. 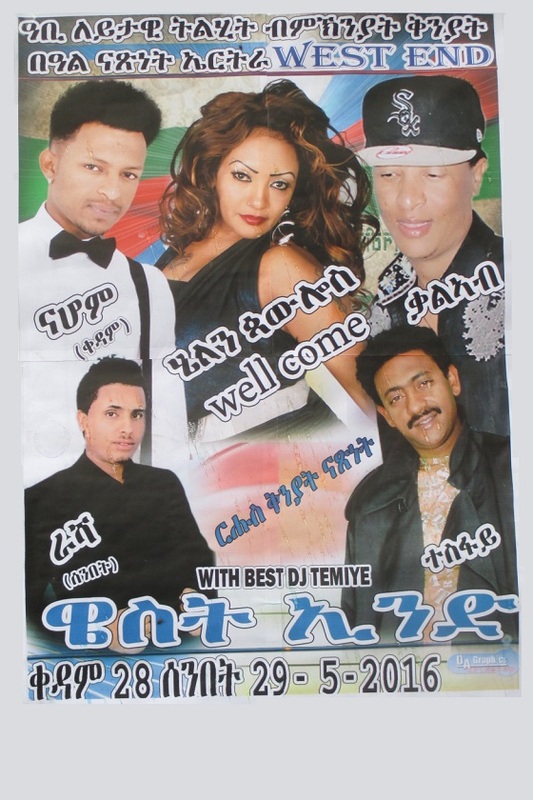 West End program for May 29 2016 - Expo grounds Asmara Eritrea. 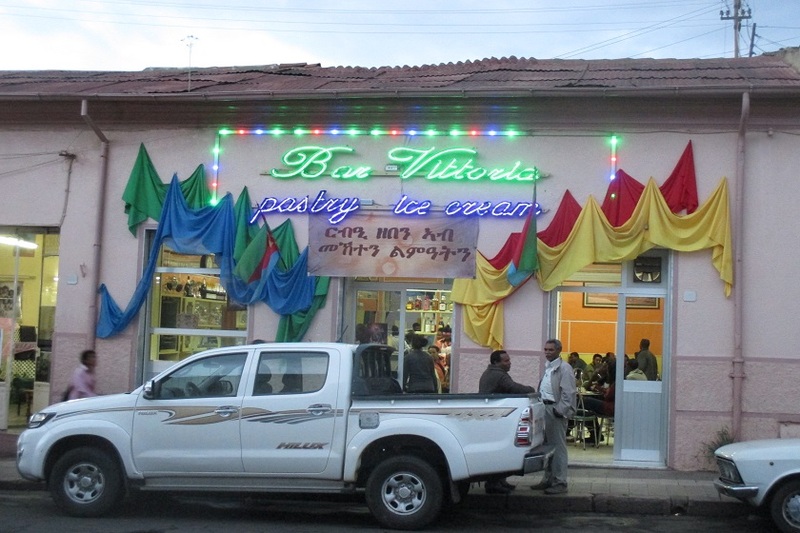 Bar Vittoria - Adi Hawesha Street Asmara Eritrea. 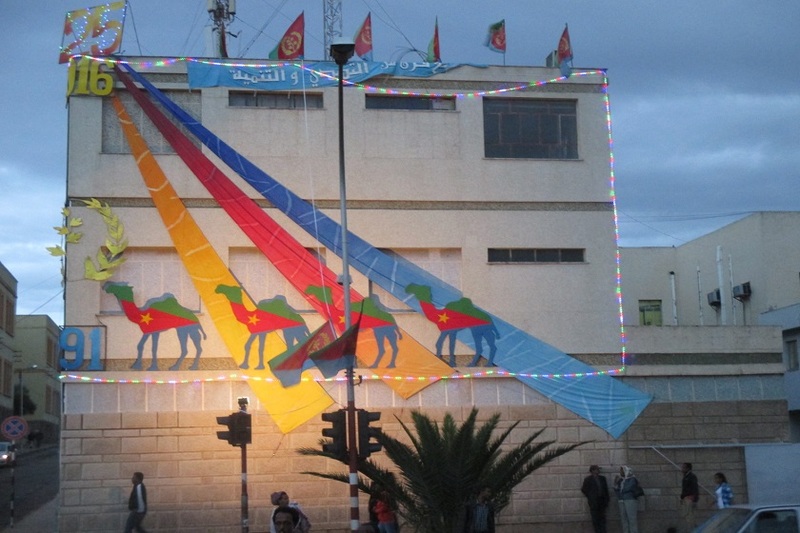 Decorated Eritel office - Harnet Avenue Asmara Eritrea.